covers all the information you need to create a safe and secure grounding environment for your integrated electrical and electronic systems - a special section on UPS systems. ALL NEW INFORMATION!! To make the most out of your equipment, they should be running at peak efficiency. Power quality, proper grounding and uninterruptible power systems are crucial to ensuring that the investment you have made in your equipment is used to the fullest. 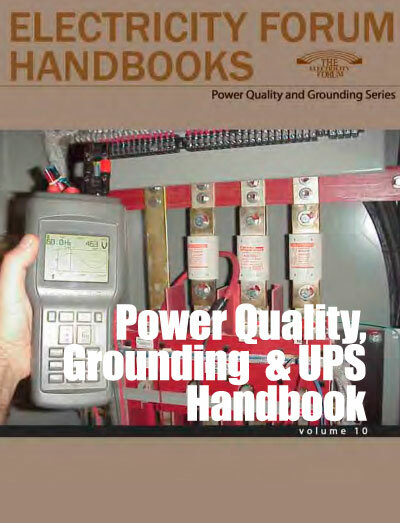 This 130 page handbook examines such topics as power quality troubleshooting, what a UPS system is, power quality meters, the effect of harmonic currents, and reliability assessment. These articles, and many more, will ensure that your electrical equipment keeps running smoothly and safely.